We're not ones to pit our female favs against one another. We especially aren't ones to pit Lorde and T-Swift against each other--just because we know they're thick as thieves. 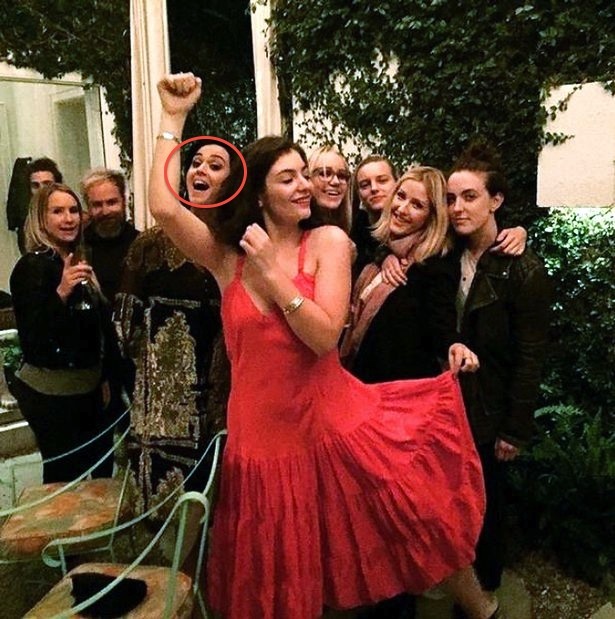 May I present into evidence this photo of Lorde and Ellie Goulding fraternising with Taylor Swift's known enemy, Katy Perry. All while dressed as the Salsa dancing emoji. Ellie Goulding quickly deleted a similar snap of her partying with Katy Perry. But what does it all mean? ?